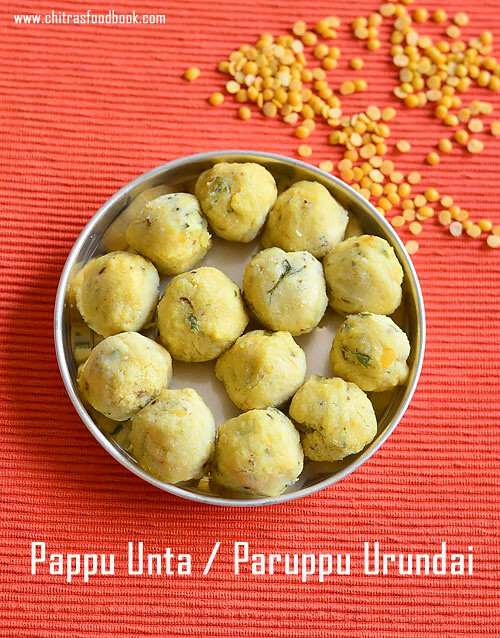 Pappu unta in Telugu is nothing but our paruppu urundai recipe ( steamed lentil balls in English) made of toor dal and urad dal.In Telugu, it is called as Kandi pappu unta i.e toor dal balls. 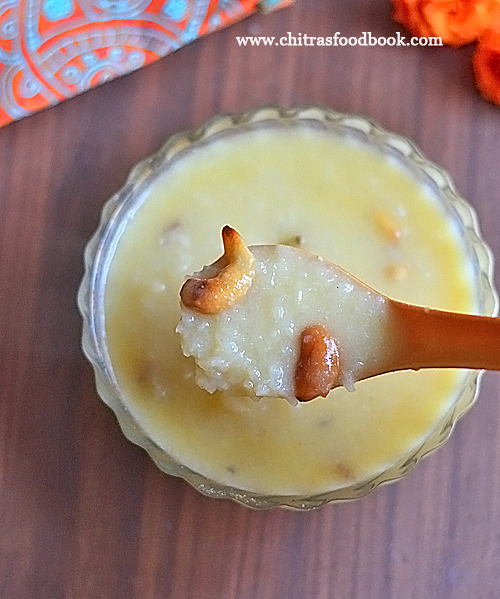 My friend Shalini told me to try this recipe during last year Varalakshmi Vratham. 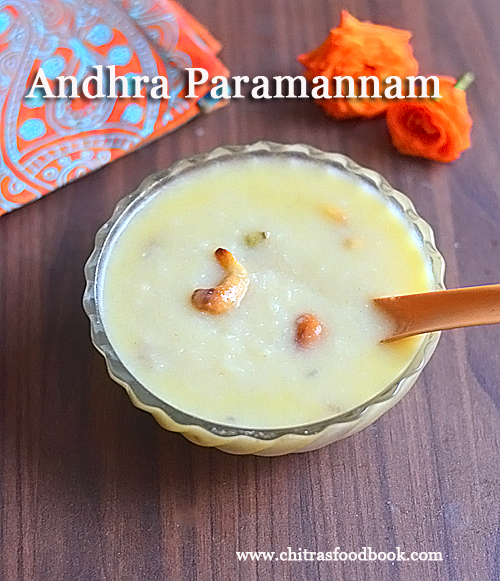 Some people in Tamilnadu and Andhra have the tradition of offering this paruppu urundai for Varalakshmi pooja. They offer 9 balls to God and add the remaining to more kuzhambu( Pappu unta majjiga pulusu). 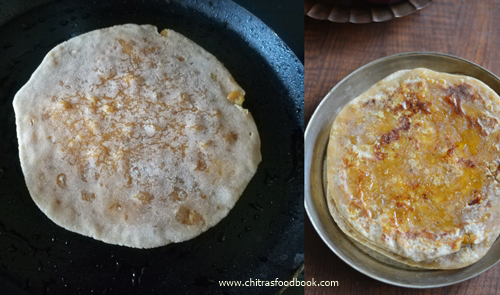 Shalini shared her mom’s recipe with me which is different from Tamilnadu style paruppu urudai recipe. 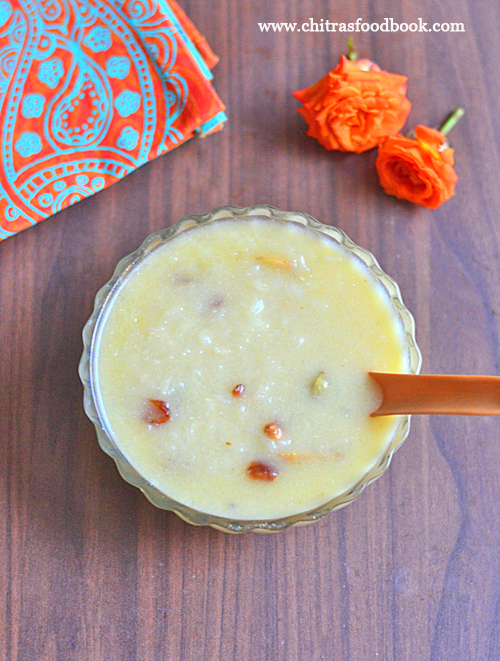 In this recipe, I have used toor dal and urad dal. Shalini gave some tips to make soft balls. I followed her instructions to the dot. The result was great. Paruppu urundai was very soft and tasty. I am yet to try majjige pulusu recipe. This time I had it as snack . Its also a good side dish for curd rice. 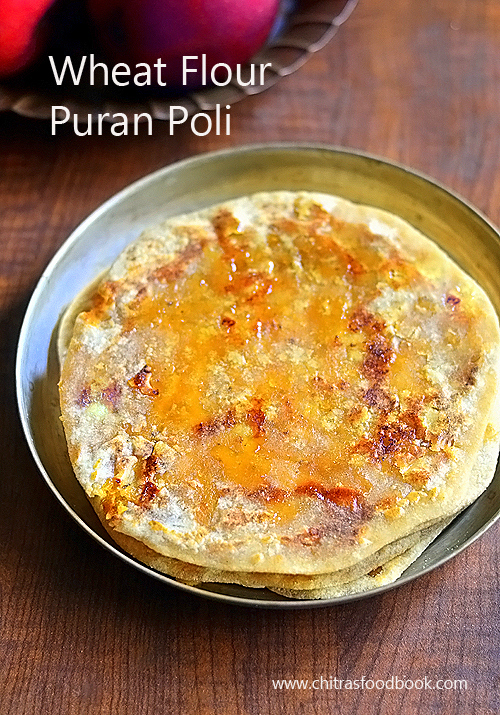 Friends, Do try this paruppu urundai recipe for this Varalakshmi vratham festival and share your feedback with me. 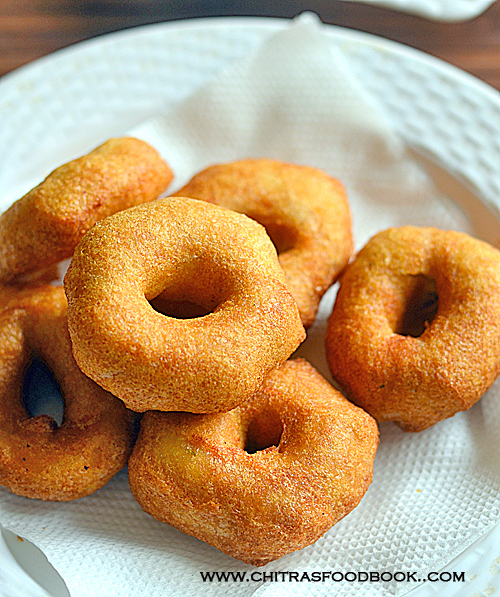 Lets see how to make Andhra style paruppu urundai recipe with step by step pictures. 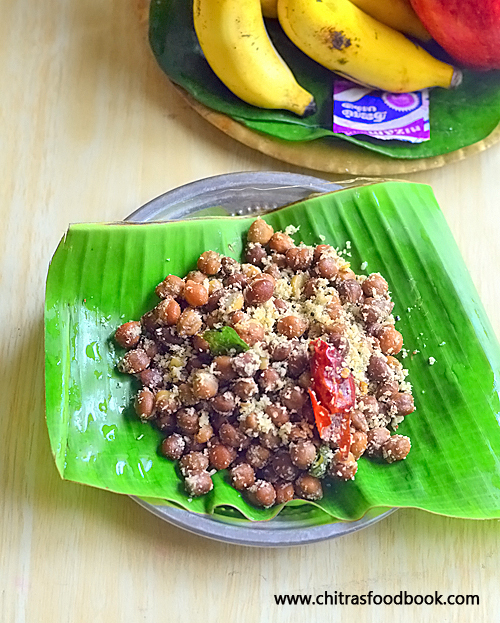 Do check out my Chettinad style paruppu urundai kuzhambu recipe, Varalakshmi vratham pooja procedure. Wash and soak dals in water for 4 hours. Grind to a coarse paste without water adding grated coconut, chilli, cumin seeds, ginger and hing. Collect the batter, add finely chopped coriander leaves and curry leaves.Add 1 tsp oil, pinch of cooking soda. Mix well. 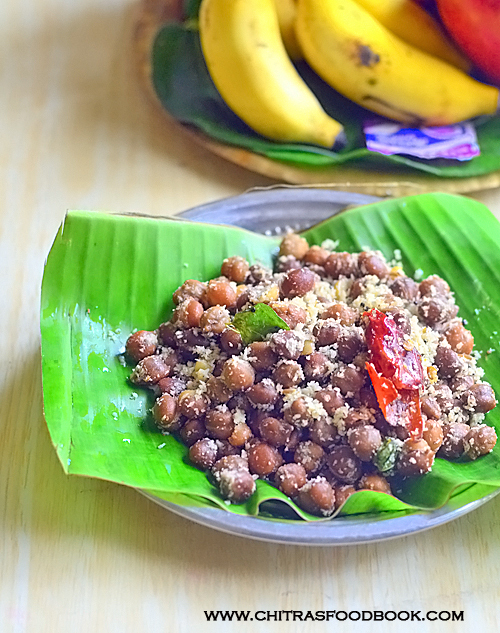 Make small balls and arrange them in a greased idli plate. Cook for 10 to 15 minutes. Switch off the flame. Remove after the balls become warm. Soft paruppu urundai balls are ready to serve ! Wash and soak toor dal and urad dal in a bowl adding enough water. Soak for 4 hours. Drain the water completely. Take the dal, grated coconut, green chilli, cumin seeds, ginger, hing and salt. Grind to a thick coarse paste without adding water. Collect the batter in a bowl. If the batter is slightly watery, add 2 tsp of gram flour/besan flour and mix well to make it thick. To the batter, add finely chopped coriander and curry leaves.Add 1 tsp oil, a pinch of cooking soda and mix well. 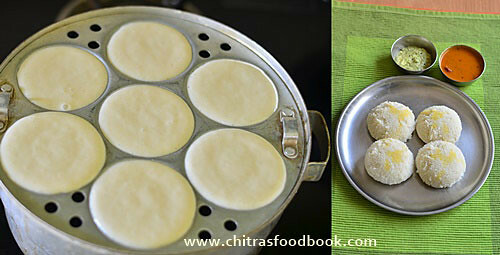 Make small balls out of the batter and arrange them in a greased idli plate. Steam in an idli pot for 10 minutes. Remove after it becomes warm else balls may break while you remove them. If the balls goes flat after cooking, water content is more in the batter.So add some besan flour and make it thick for next batch. For trouble shooting, take the warm balls and shape it round. If the batter is too thick and dry, balls may come out slightly hard. 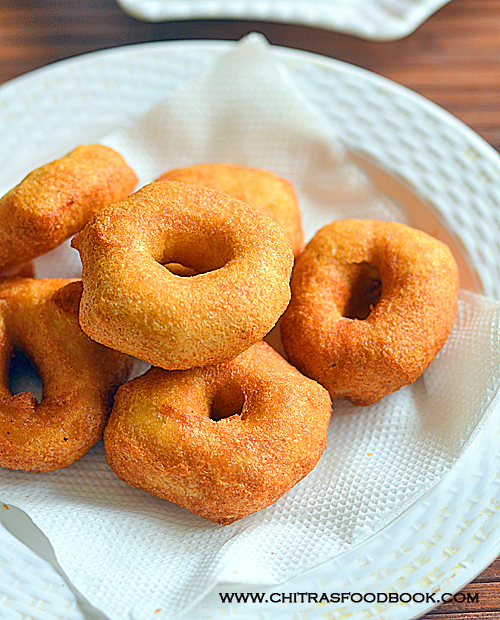 So batter should be thick yet moist just like masala vada batter.This is the key to make soft paruppu urundai. Pappu unta/ Paruppu urundai is ready. Take 9 balls in a plate and offer to God. 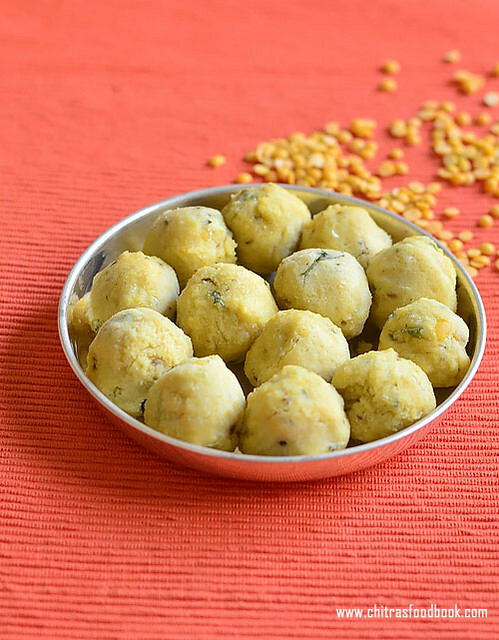 If you are adding these balls to more kuzhambu/ Majjige pulusu, you can add finely chopped onion, garlic to the batter if you like. 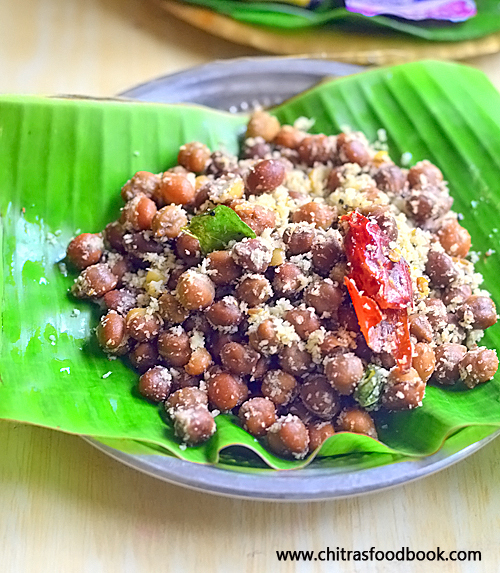 For Tamil nadu style paruppu urundai, add chana dal instead of urad dal. Use red chillies instead of green chilli while grinding. For variations, you can soak the urad dal separately. 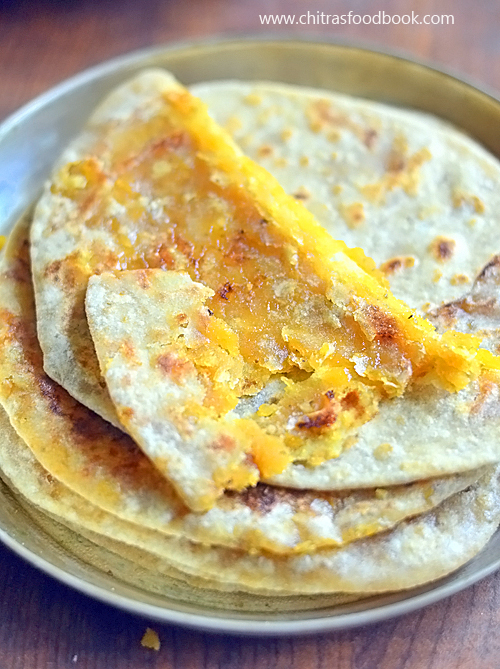 Grind to a smooth paste, remove in a bowl.Then grind the soaked rice+ poha + methi seeds to a smooth batter. Mix both the batter and ferment it. 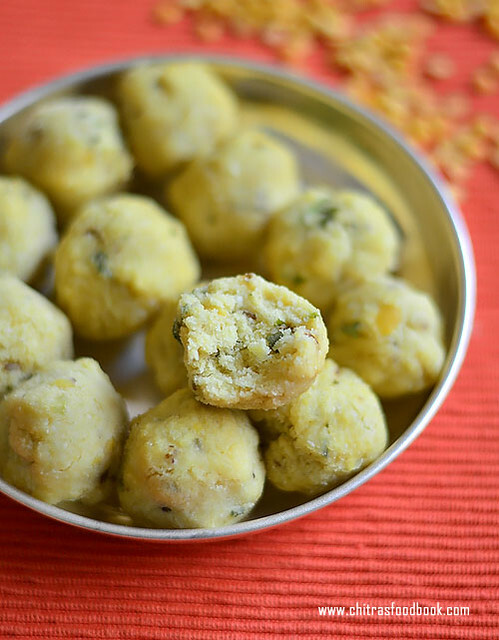 Try this soft and yummy paruppu urundai recipe. Make some gravy with it or enjoy as a snack ! 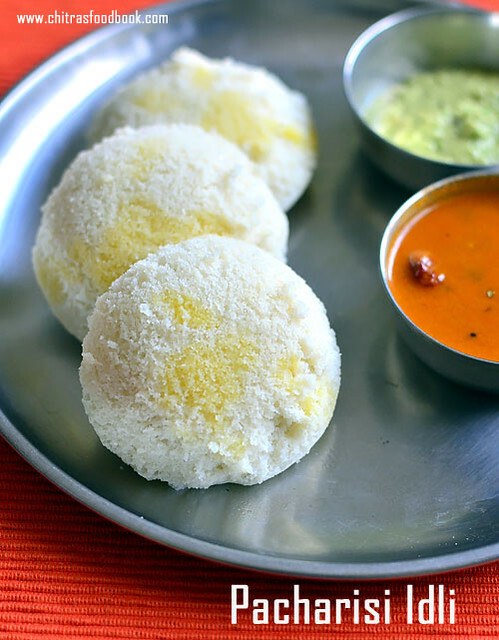 Raw rice idli ( Pacharisi idli in Tamil) is one of the important festival recipes of Tamilnadu and Andhra. My friend Shalini told me about this idli using raw rice and pappu unta( Paruppu urundai) when I was asking for Varalakshmi Pooja recipes. Many people (especially Tamil brahmins) prepare this pacharisi idli for Varalakshmi vratham and Ganesh Chaturthi neivedyam. Basically steamed rice or boiled rice idli (Puzhungal arisi) is not offered to God. So people make idli with good quality raw rice / ponni rice ( sona masoori) and offer to God on festival days. I followed my mixie idli,dosa batter recipe, altered the quantity of ingredients and tried it. To make a perfectly soft raw rice idli, we should add more urad dal and give more time for fermentation. Ratio of rice and dal should be 2:1. Its always better to use grinder for making idli. But I used mixie to grind the batter as I made very less quantity. I used ice cold water to prevent the heating of jar. So if you are using mixie like me, use ice cold water to get soft and spongy idli else idli may come out hard. Its taste and texture reminded Kanchipuram idli to me. 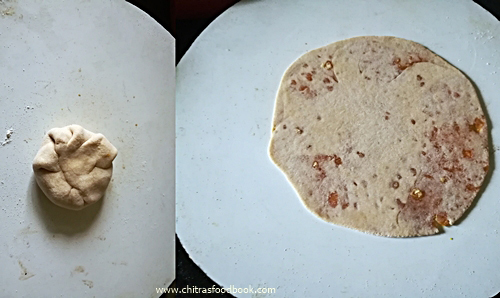 I tried making dosa with this batter but it was not so great in taste. 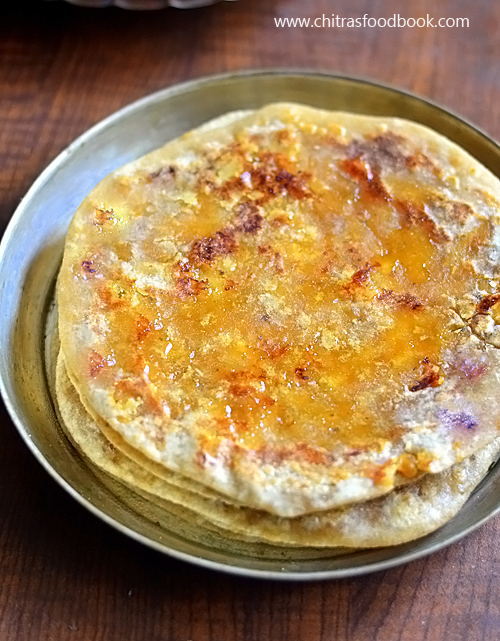 It tasted like varagu dosa. I will try to upload a dosa picture soon. 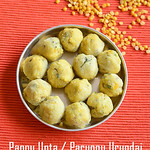 Tomorrow I will share pappu unta recipe. 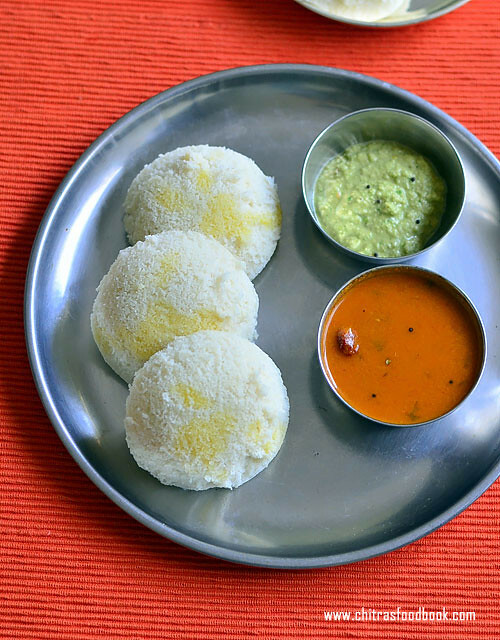 Friends, do try this idli recipe for varalakshmi viratham, offer God and get her blessings. 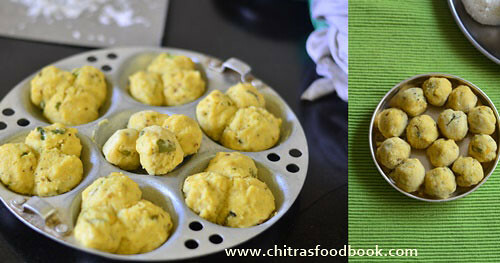 Now lets see how to make raw rice idli recipe with step by step photos ! 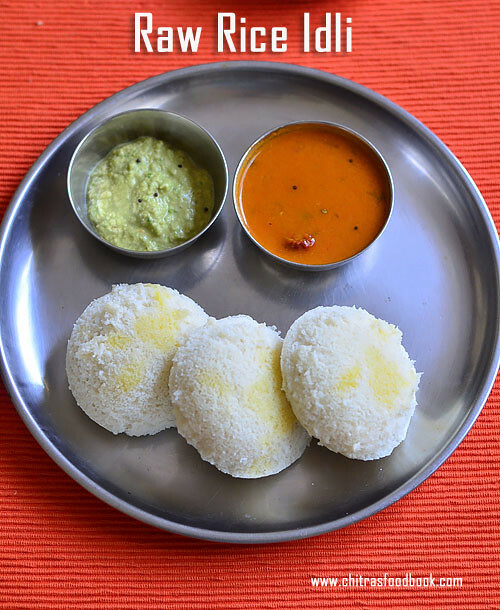 Check out my 15+ Idli varieties recipes, Sponge dosa using raw rice, Idiyappam using raw rice flour, sweet pidi kozhukattai, kara kozhukattai using store bought rice flour. Wash and soak raw rice, urad dal, poha and methi seeds for 3 to 4 hours. Grind to a smooth paste adding ice cold water. Collect the batter in a bowl. Ferment for 12 to 15 hours. This batter won't double in quantity but rise slightly. The next morning,mix the batter well and make idli. 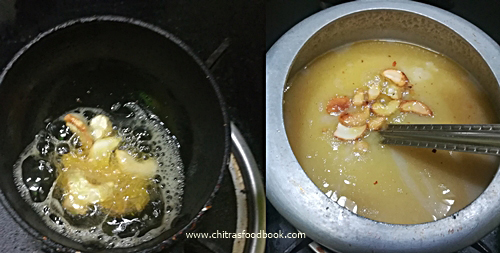 Steam for 10 minutes till done, remove after 5 minutes.Serve with chutney,sambar.Enjoy ! Wash and soak rice, urad dal, aval and methi seeds together for 3 to 4 hours. Grind in a mixie jar adding ice cold water. I used approx 1.25 cups of water. Grind to a smooth paste. Collect the batter in a bowl. Ferment it for 12 to 15 hours or overnight based on the weather. This batter won't double in quantity but rise slightly. 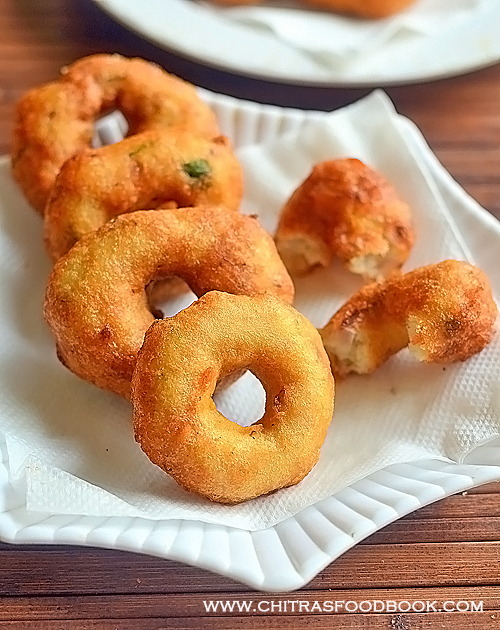 The next morning, mix well with a ladle.Grease idli plate with sesame oil and pour the batter. Steam in an idli pot for 10 minutes. Remove after its done. Rest for 5 minutes and then remove the idli. 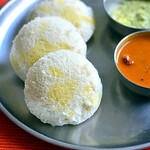 For offering God, drizzle a tsp of ghee over the idli as shown in the picture. Finish the pooja, serve with sambar & chutney! Adding poha is optional. You can skip it. You can grind the batter in a grinder. Idli comes out even more soft.